Towards a competitive department in the academic programs of science and information technology, scientific research, and community service. Fulfilling the needs of the labor market of professionals and qualified technical expertise, capable of development and innovation in science and information technology programs, directing the scientific research process to serve the local and regional community, developing teaching and learning methods, focusing on the priorities of national scientific research, selecting qualified and experienced academic personnel, and implementing competitiveness and quality assurance standards. Adopting educational plans that meet the needs of the community and scientific research within the standards of accreditation and quality. Adoption of interaction, integration, and specialization in producing experts capable and qualified in the fields of software engineering. Motivating students and supporting them to learn, excel, research, produce, work as a team, and contribute to constructive interaction with the community. Encouraging scientific research and supporting scientific and practical studies in various fields of science and information technology. Using and developing e-learning, developing teaching aids and methods, focusing on education technology resources, and utilizing state-of-the-art references and equipment. Optimizing the use of financial resources, and working on developing and increasing them to serve the current and future objectives of the department. Creative and integrated linking between the administrative staff and the academic staff to serve the educational process of the department. The department was established in 2004 and currently has 12 faculty members and 396 enrolled students. 11 classes have graduated from the department including 789 bachelor’s students. The master’s in software engineering program was created in the 2017/2018 academic year and now has seven enrolled students. 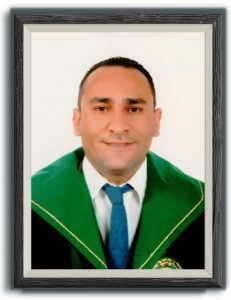 With regards to scientific research conducted by the faculty members of the department, the number of research papers has reached 71 for papers published in international refereed journals including 3 this year, and 19 papers in international, Arab, and local refereed conferences, including one this year.